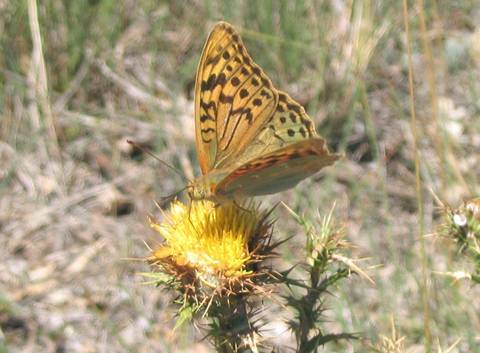 The Cardinal is a very large fritillary which flies essentially in southern Europe. 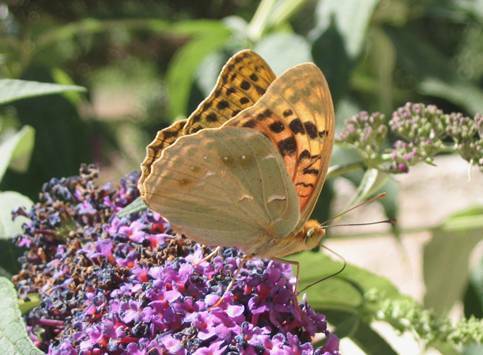 I've been lucky to find odd males nectaring on buddleia in Provençal villages and then in late August 2006 I even found one locally in the Rhône! 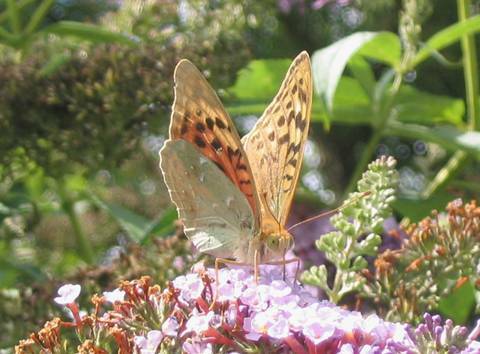 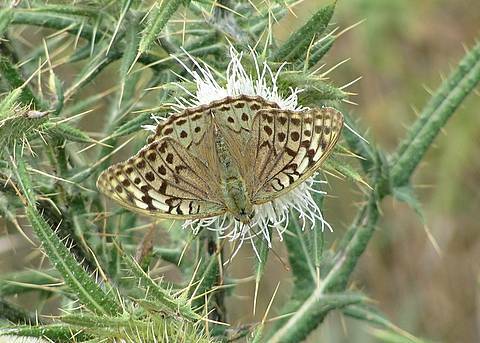 His uppersides are not really of a dominant orange colour like one generally expects of fritillaries, but have distinctly greenish overtones from some angles. 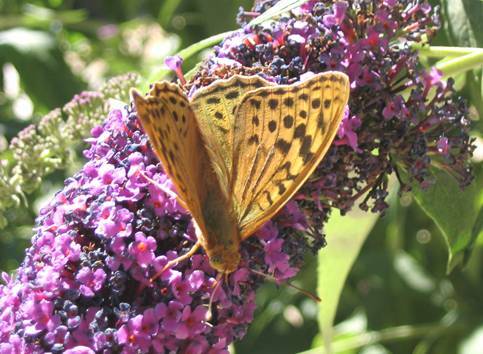 I have found the butterfly more fidgety than Silver-washed Fritillaries nectaring on the same bushes and which have hardly moved the whole time I was there....but I've noticed before that paphia is a very 'tame' species. 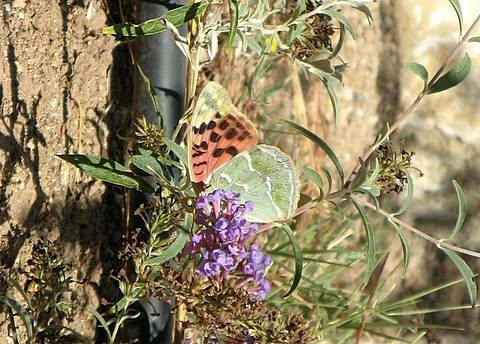 I would say the Cardinal is a little larger than paphia and an even stronger flyer, really very powerful. 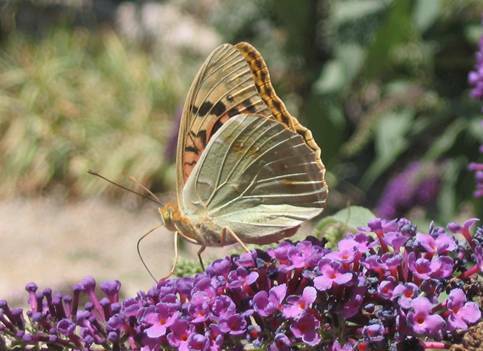 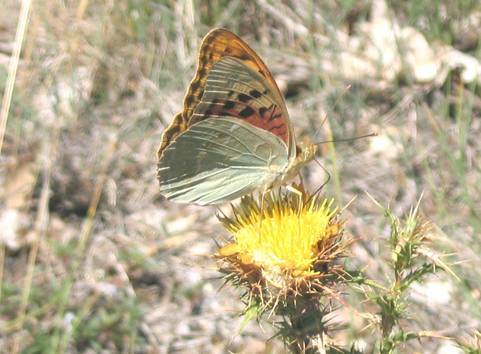 The undersides are particularly characteristic....the forewing shows a striking contrast between the yellow apex and the orangey-pink area below. 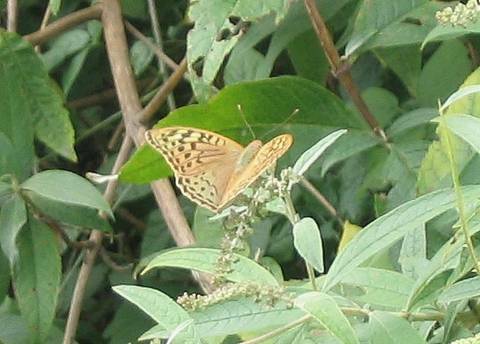 The hindwing has a constant green ground colour.